Oil Minister Bijan Namdar Zanganeh has said that Iran and its fellow OPEC members are pursuing the issue of plummeting crude prices. Iran and other members of the Organization of the Petroleum Exporting Countries (OPEC) are pursuing the issue of falling oil prices, says Iran’s oil minister. “The issue of global oil prices is not that simple, but Iran and [other] OPEC members are following up the issue [of plummeting price],” Bijan Namdar Zanganeh told reporters on Wednesday. He described plunging oil prices as complicated, saying that the issue is affected by both economic factors and political intentions. A rise in the production of petroleum products could not help lower crude prices, Zanganeh added. “Global oil supply and demand as well as products are all significant. More products will bring us further added value, but given the present circumstances, oil prices will not change. 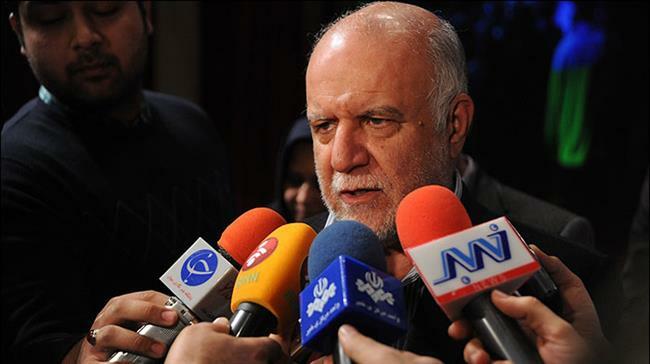 Nevertheless, the cost of petroleum products has fallen, too,” Zanganeh added. On Wednesday, the price of Brent crude oil fell below $50 a barrel for the first time since May 2009. Meanwhile, the West Texas Intermediate crude has already fallen below $50. Oil prices have plunged about 50 percent since June last year over increased supplies by certain countries such as Saudi Arabia, the largest OPEC producer, and slowing global economic growth. Observers say that oil price could see further declines in the coming weeks as OPEC seems unlikely to do anything about over-output.